Heart disease is the leading cause of death for women and appears to be increasing in women aged 35 to 54 years. Women who have had preeclampsia have three to four times the risk of high blood pressure and double the risk for heart disease and stroke. They also have an increased risk of developing diabetes. For women who had preeclampsia and delivered preterm, had low-birthweight babies, or suffered from severe preeclampsia more than once, the risk of heart disease can be even higher. While still unknown whether the risk is caused by preeclampsia or if the woman was already predisposed, these risks first emerge in the years following a complicated pregnancy. Although this may seem daunting, ample research shows that there are many ways for women to protect their heart health and that of their families! This research does not mean you will definitely develop heart problems if you had preeclampsia, but for some women pregnancy can serve as an early warning sign for future heart disease. This kind of “heads up” gives you an opportunity to make changes now for a healthier tomorrow – and reap the benefits today, too! Many of the risk factors for preeclampsia and other conditions affecting your blood pressure and heart are similar. They include a family history of high blood pressure, heart disease and diabetes. 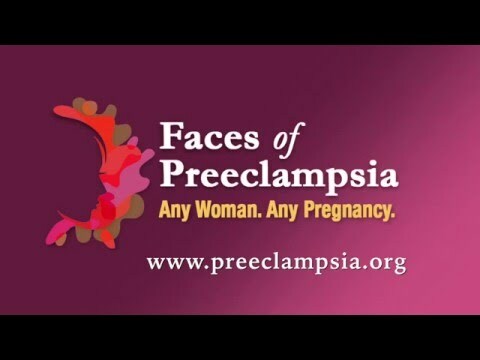 What recommendations about cardiovascular disease does the Preeclampsia Foundation endorse for women who experience preeclampsia? The Preeclampsia Foundation's position paper on "Preeclampsia and Future Cardiovascular Disease in Women: What Do We Know and What Can We Do"? summarizes current research findings and provides best practice recommendations related to preeclampsia and future cardiovascular disease that are endorsed by the Foundation. The Preeclampsia Foundation wishes to thank Dr. Mayri Sagady Leslie and Dr. Linda Briggs, George Washington University, School of Nursing, for their extensive research and authorship of this position paper. We also appreciate Dr. Elizabeth Sutton, University of Pittsburgh School of Medicine, Magee-Womens Research Institute, for authoring each “Community Summary” in the position paper. Special thanks to Dr. Tanya Melnik, University of Minnesota, as the primary author of the 2006 position paper this is based upon. What can I do to reduce my risk for heart disease? If you had preeclampsia, you can make lifestyle modifications now to reduce your risk. Also you should talk to your health care provider to take extra care to monitor the health of your heart and blood vessels. If you have other risk factors in addition to your history of preeclampsia, these steps are even more important. Heart disease takes years to develop and you can take steps now to reduce your risk. Making better choices today can impact your health today and in the future. Walk 30 minutes five times a week and do muscle-strengthening exercises two or more times a week. Do something fun like dance, yoga, or an activity with your whole family to build a habit of movement as a regular part of your life. Eating a diet high in fiber, vegetables, and fruits, and low in fat (the Dietary Approaches to Stop Hypertension – or DASH – eating plan) has been proven to help lower blood pressure. Even if you don’t have high blood pressure, it will help you develop healthy eating habits and may prevent or delay your developing high blood pressure in the future. Proper diet and exercise can reduce your risk factors for heart disease. Body mass index (BMI) is your body weight relative to your height. A healthy BMI is between 18.5 and 25 (see BMI categories below). A BMI greater than 25 may increase your risk for heart disease. If your BMI is high, talk to your healthcare provider about different ways to lose weight. You should also try to avoid second-hand smoke. Tobacco raises blood pressure and damages blood vessels immediately. If you have a family history of high blood pressure or heart disease, you are more likely to get it later in life. Be sure to tell your care team about your family’s health history. Blood pressure: A healthy blood pressure is around 120/80 mm Hg or lower. If your blood pressure is higher, talk to your healthcare provider about ways to lower it including lifestyle and diet modifications. Medications may be prescribed for higher blood pressures. Here's information on how to take your blood pressure the right way. Cholesterol: Talk to your healthcare provider about tracking your cholesterol (blood fats or “lipids”). If your levels are high, ask how you can lower them. Diets that include omega 3 fatty acids may help. In some cases, medications such as statins may be important to your care. Blood glucose (blood sugar): Talk to your healthcare provider about screening for diabetes. The link between preeclampsia and heart disease is not yet well known among the general population. Now that you know about it, you can take charge of your health – for now and the future!